64 Lukie Points will be rewarded to you when you buy this. Time passes, the pages turn ... and a new chapter unfolds in an unfamiliar land! 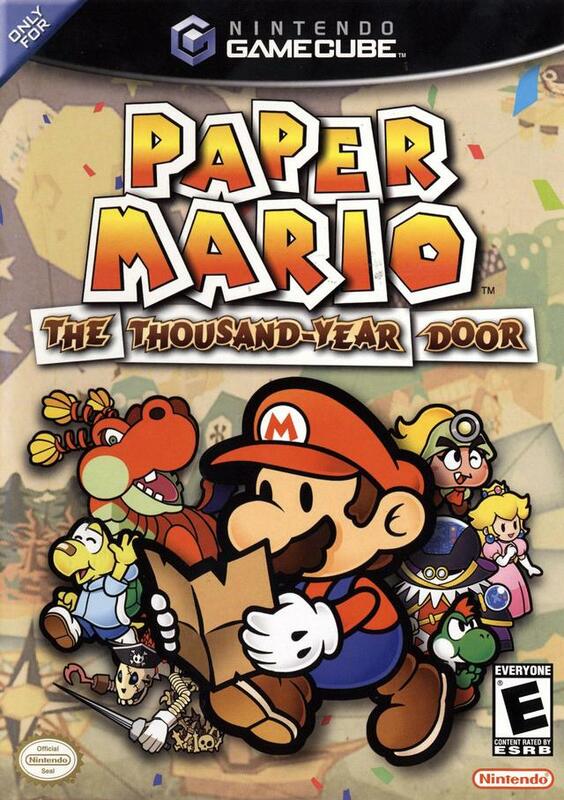 Get ready for a new role-playing adventure as Mario returns to paper form to stop a dangerous threat. This time around, more emphasis is placed on the paper abilities of Mario and his friends. He can turn sideways to slip through cracks, fold into a paper airplane to fly, roll into a tube and much more. They can also use a variety of items like hammers and thunderbolts to defeat their enemies. 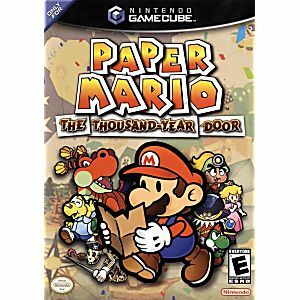 Get ready for a two-dimensional role-playing adventure for the ages as Mario returns to paper form in pursuit of a threat unlike any he's ever faced. Originally received the wrong order, however Lukie Games customer service was quick to respond and immediately sent me another copy, also allowing me to keep the wrong order as well. Will definitely purchase hreat games from Lukie again. Took longer than it said and the disc was a bit dirty, but overall it works so I’m satisfied. I love this game it is very popular still and very fun. I would strongly recommend buying this from lukie games. I received this in amazing condition in the case and was very pleased. I almost exclusively use this website to order video games and have never been dissapointed in their quality and customer service! I played this game as a young lad and it was amazing. Twilight Town scared the crap out of me, the final boss was so challenging that I never beat her, and the game was so unique and colorful that I had vivid memories of it for decades. I always meant to buy it but it was always hideously expensive when I did find it. So when LukieGames only had it for $50 I was ecstatic. 13 years I've waited. I already had the case and manual so I had no issue buying the "Game Only" at a discount. Then I got the game and popped it in and, naturally, I didn't work. No idea why, it just wouldn't play. So I contacted LukieGames and they sent me a new copy and it works perfectly. They even gave it to me with another case, all completely free of charge (Except buying a shipping envelope, of course). I don't care about having two of the same case now because it's the game that matters and LG delivered (Pun not intended). If you're even considering buying this game from slight curiosity alone or chasing some good nostalgia, buy this game from right here right now. Best price I've seen it go for, the game is a jolly good time, and the customer service was top-notch. This game improves on every aspect of the original N64 game. It's longer, the battles feel tighter and the partners are creative! My order came in very quickly and everything works great. My son says this is a fun game because it has puzzles, good game play, and isn't overly challenging. if you are a fan of RPG's at all, you owe it to yourself to play this gem of a game. excellent story, in depth characters, great visuals, and great controls. buy this game now!! My order was processed amazingly fast and arrived on time. Was in excellent condition, included a full instruction manual and the disk had no visible scratches anywhere. Was a little sketched out when I read it was being shipped by an unknown shipping company (DHL delivery) but they seemed to have done their job fine. Great buy overall!